56% of Copenhageners ride a bicycle for transport daily. 75% cycle all winter. This is the world's busiest bicycle street. Nørrebrogade. 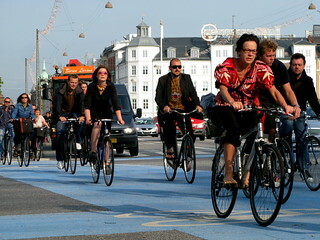 Over 40,000 cyclists per day.